Approaching a sacred text through the lens of historical anthropology requires seeing how the text is invested in the time and the social and human environment from which it emerged. Jacqueline Chabbi has worked to develop an application of this historical-anthropological approach to the Qur’an for over twenty years. Chabbi maintains that, in order to understand the text of the Word revealed to the man Moḥammed, one must place it in its context within Mecca and Medina at the beginning of the seventh century. During this century, Islam started to emerge and slowly grow more powerful as a new belief system. Following the great extra-Arabic conquests, between the 8th and 9th centuries, Islam largely reinvented itself throughout the Middle East and Iran—outside of its original context. It was only then that the Islamic religion we know today was born. Jacqueline Chabbi is Professor emeritus of Arabic studies at the University of Paris 8 Vincennes–Saint-Denis. She is one of the most well-known and respected specialists of early Islam, and even if her ideas are not shared by all, her hypotheses have not yet been invalidated. Born in 1943 in Brittany (Finistère), where she still lives, she was awarded her first doctoral thesis in 1971. She worked under the supervision of Professor Claude Cahen on ‘Abd al-Qâdir al-Jîlânî, a notable Baghdadi figure of the twelfth century who founded an important Sufi brotherhood. This project allowed her to prove how the representation of this medieval figure had been modified by successive generations. Speaking of this experience as a historian, she said: “I was very surprised to note that there had been an important difference between the historical life of the character who had been, in the eyes of all, a Muslim jurist originally from Azerbaijan, and the reputation that grew around him after his death.” Her critical approach toward historical objects has been deeply influenced by this first piece of research. In 1997, she published Le Seigneur des tribus. L’Islam de Mahomet (“The Lord of the tribes. The Islam of Mohammed”) through Éditions Nôesis. This work—reissued in 2010 by CNRS Éditions—is based on a second thesis, dedicated to the study of representations of mentalities in seventh-century Arabia. The book, consisting of more than six hundred pages, laid the foundation for new ways of approaching the Qur’an, on the basis of a “sound method” (as described by André Caquot in the book’s preface.) The resulting analysis of the Qur’anic text by and for itself demonstrates that the continuity between the Qur’an and its original environment is more significant than had been affirmed—both by medieval commentators guided by the beliefs of their times, and by the contemporary Qur’anists whom those commentators have influenced. A year earlier, the review of Arabic and Islamic studies Arabica published “History and Sacred Tradition: the impossible biography of Mohammed.” This important article describes the itinerary of the man Mohammed as far as we know it from post-Qur’anic sources, subjecting it to the test of history. The author casts a critical gaze not only at sacred tradition, which over-Islamized its past, but also at the gentleness with which this tradition is still treated. In 2003, Chabbi published two articles, “Jinn” and “Whisper,” in the prestigious Encyclopaedia of the Qur’ân. And in 2008 a second book appeared, Le Coran décrypté. Figures bibliques en Arabie (“The Qur’an Decoded: biblical figures in Arabia,” Fayard). In it, she treats the question of the biblical traces which—starting from the second Meccan period (between c. 615 and 619)—became integrated into the Qur’anic discourse, nourishing its imagery and supplying new arguments for the polemic that sets Mohammed against the most eminent members of his tribe. The work is important because it shows how biblical figures are appropriated by the Qur’anic word, which recontextualizes them in its own tribal universe in order to serve its cause. It also demonstrates why these biblical figures often have little left to do with their place of origin. The Qur’an therefore takes the Bible less as an influence and more as set of stories to be recaptured or reconstructed. This evidently poses the problem of the extent to which Mohammed would have been confronted at Medina with the thought of Jewish rabbis and their tribes, who had long been resident in the oasis. Finally, a third book, to appear in 2013, will focus on the three central functions articulated in the Qur’an. It deals with the alliance, the guidance and the gift. Chabbi intends to demonstrate how these three major functions were shared between the world of men and the holy Lords of pagan Arabia, who survived in the Meccan residence, Rabb al-Bayt—a denomination which bit by bit became Ilāh, divinity, then Allāh, the Divinity. The historian attempts to reconstruct pasts and societies that are no more. When confronted with a sacred text such as the Qur’an, it is helpful to grasp the meaning of those mental and symbolic representations that are expressed in the words of the text: representations which cannot be detached from their original historical setting. The historian questions these representations—the beliefs that were woven into them and the images they elaborated. In this sense, she or he must, like Jacqueline Chabbi, attempt to establish a dialogue with those who share in the beliefs that have been passed down from the period in question to the present day. *We would like to thank Chris Rose for having read and translated this article. This week IQSA continues its interview series with a second PhD student in Qur’anic studies, Abdelmajid Benhabib (University of Victoria, Canada/University of Tlemcen, Algeria). Abdelmajid gave us a glimpse into his doctoral research on ‘al-Taqāwul (roughly translated as “Reciprocal Speech”) between Noah and his people in the Qur’an. We thank him for the opportunity to share his text in Arabic, below. يتمحور بحثنا الآن حول الأحداث التي جمعت نوح وقومه في القرآن. من هنا أشرنا إلى مفهوم التقاول الذي نحتناه انطلاقا من النص القرآني، حيث الإحالة إلى نشاط القول الذي تحقّق من نوح تجاه قومه ومن هذا الطرف تجاه ذاك. من جهة أخرى مفهوم التقاول هو على وزن تفاعل، أي تأثِير وتَأَثُّر من خلال قول متبادل بين طرفين أو خصمين. أما دلالة الجذر اللغوي (ق و ل) فتحيل إلى الخفوف والحركة. وقد سمّي ما يَتَلَفَّظ به الإنسان قولا لأن الفم واللسان يخِفَّان له (أنظر: ابن جنّي “الخصائص” ج 1، ص.ص. 5-19). من هنا نلتمس البعد الحركي والنَّشِط والدينامي لفعل القول. فأصل القول هو كل لفظ مَذِل به اللسان (أي قلق به) (أنظر: ابن جنّي؛ ص.ص. 5-19). كما أن دلالة القول لا تطلق على اللفظ المفرد بل على الجملة (أنظر سيبويه في ابن منظور، ج11، ص.572). نحيل هنا إلى المخبر عنه وإلى المخبر به باعتباره تابع ومرتبط ومُكَمِّل لذاك. فظهور موضوع التبادل الكلامي [المخبر عنه] يستدعي بروز المخبر به، مجيبا عن الموضوع المطروح، أي كيف ولماذا يكون المخبر عنه. فمثلا نلاحظ أن التفاعل اللفظي، بين نوح وقومه، يتخلّله موضوع واحد “الله” يتناوله الطرفين المتقاولين من خلال تعليقات (محمولات) متنوّعة ومختلفة تتمحور حول “التوحيد” (بالنسبة لنوح) بمقابل “الشرك” (حسب قومه). نحن نعيش في العصر الحالي النموذج اللساني (من خلال بعض النظريات: نظرية الحوار، نظرية التحادث، نظرية الاتصال… الخ.). من هذه الزاوية نأخذ بعين الاعتبار أهمية حضور كلمة “قول” في القرآن: فمن الناحية الكمّية كلمة “قول” هي أحد أهم الكلمات حضورا في النص القرآني فهي تظهر حوالي 1635 مرة أخذا بعين الاعتبار صيغها الصرفية المتنوّعة. كما أنه من الناحية النوعية، تظهر أهمية كلمة “قول” من خلال جملة التفاعلات المتنوّعة والمختلفة التي يظهرها القرآن (في الحياة الدنيا وفي اليوم الآخر: بين الرسل وأقوامهم؛ بين المؤمنين و غير المؤمنين والكفّار…؛ بين الله والرسل والأنبياء؛ بين الله والبشر…الخ.). من هذا المنطلق نحاول التركيز أساسا على التفاعل اللفظي بين الرسل وأقوامهم. بكلمات أخرى نحن نصوّب انتباهنا على أهم أداة تحيل إلى القصد الإلهي، من خلال رسله، لإقناع أقوام هؤلاء لينتقلوا من الشرك إلى التوحيد وهذا لما تغيب عبادة الله وحده. من خلال الشرح الذي قدّمناه، وعبر مثال واحد من القرآن يحيل إلى قصة نوح وقومه، حيث نلاحظ أن الرسول نوح يستخدم فقط “القول” للمحاججة حول عبادة الله وحده. بالتالي فعل الـ “قول” يصبح رهان أساسي عندما يقابل الرسول نوح قومه حيث يكون غرض ذاك تذكير هؤلاء بـ: عبادة الله وحده. نلاحظ نفس الشيء في قصص قرآنية أخرى حول الرسل الذين سعوا إلى إقناع أقوامهم بنفس الغرض الذي حاول الرسول نوح بلوغه: عبادة الله وحده (مع بعض الاختلافات الطفيفة: مثلا الرسول موسى يضيف العصى إلى قوله،…). في الختام نشير إلى أنه من خلال تناول مقولة “التقاول” يمكن أن نعي بشكل حقيقي كيف أن الشخصيات القرآنية (الرسل وأقوامهم) في القصص، تستخدم “القول” تجاه بعضها البعض، وما الذي يظهر لنا “التقاول” من ناحية التمثّلات المعرفية أو الذهنية ( بالمعنى النفسي، الثقافي، الاجتماعي…) ومن ناحية المعاني المصاغة انطلاقا من تلك التفاعلات والأهداف التي يرجو كل طرف الوصول إليها من وجهة نظر كل شخصية في الزمن الآني، أي من خلال أقوالهم المباشرة. Since its creation, IQSA has been defined as a network of a diverse range of scholars and educators, serving to advocate for the field of Qur’anic studies both in higher education and in the public square. Within this scope, IQSA will present three interviews over the following weeks with PhD students working in the field of Qur’anic studies. We begin with Tommaso Tesei, a PhD Student working mainly on the Qur’an’s cultural relationship with the Late Antique world. Tommaso, what are your academic achievements in the field of Qur’anic studies ? My interest in Qur’anic studies has matured over the last three years, from my doctoral studies at both La Sapienza University in Rome and the Institut National des Langues et Civilisations Orientales in Paris to my research for the European Research Council project, “The Here and the Hereafter in Islamic Traditions” (University of Utrecht, Sept.–Dec. 2012). Most recently I have undertaken work as a Mellon doctoral fellow with the “Qur’an Seminar” (University of Notre Dame, Dec. 2012–Sept. 2013). 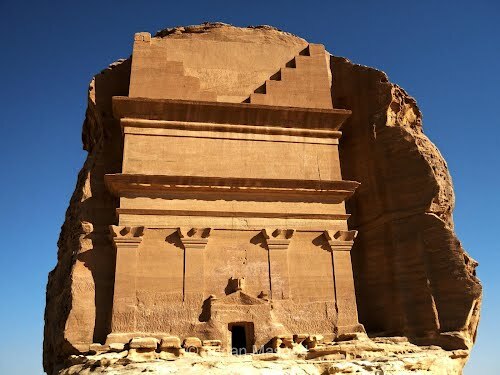 My research emerges from current trends in Qur’anic Studies that seek to excavate and explore the religio-cultural ties between the Qur’anic text and its historical environment. The major aim is to inquire into the relationship between the Qur’an and the cultural and intellectual history of the Late Antique Near East. To this end, my study focuses on three main issues:  the study of two consecutive pericopes found in Surat al-Kahf (Q 18:60–82, 83–102);  Qur’anic cosmological imagery; and  the Qur’an’s teachings about death and the afterlife, that is, its eschatology. In the following lines I will provide some details about each issue. Could you introduce these three topics and their importance for the field of Qur’anic studies? 1. The study of verses 60–82 and 83–102 of Surat al-Kahf represents the topic of my PhD thesis, scheduled to be defended in June of 2013. The narratives contained in these two pericopes are characterized by their strong analogies with several Late Antique legends concerning Alexander the Great, which occur in Greek, Hebrew and Syriac literature. The Syriac Christian versions of these legends are particularly interesting for my study, as they occur in two works composed in 629 CE and c. 635 CE, respectively, and are thus contemporary to the period in which the Qur’an’s prophet purportedly preached. Therefore, the comparative study of the two Qur’anic pericopes with these Syriac legends offers an exceptional opportunity to investigate the relationship between the Qur’an and its cultural environment. 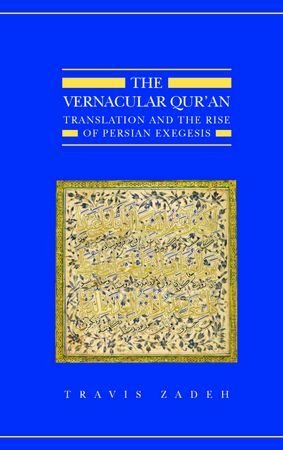 A major aim of my thesis is to highlight, through this specific case study, the Qurʾan’s engagement with previous and contemporary Judeo-Christian literature. Beyond focusing on the literary, thematic and cultural connections between the Qur’anic pericopes and the Alexander legends, my research also sets out to explore: the purposes behind the Qur’an’s introduction of these narratives into its theological discourse, its method of adapting them to its theological agenda, and its interest in omitting or adding elements that either are or are not found in the Christian and Jewish versions of the accounts concerning Alexander. 2. My research in Qur’anic cosmology principally seeks to investigate the extent to which the Arabic scripture shares the beliefs about the shape of the universe that were widespread within its historical environment.. Through this analysis I also intend to improve our understanding of the Qur’an’s text itself. Indeed, several Qur’anic verses and passages can be better explained if read in light of Late Antique cosmological imagery. The situation is comparable to that of a passage in a contemporary book mentioning the existence of a black hole. This passage, of course, would appear cryptic or nonsensical without any knowledge of the astronomy of our historical period. An illustrative example is the formula ǧannātun taǧrī min taḥtihā l-ˈanhāru (lit. “gardens from beneath which the rivers flow”), which frequently marks the Qur’anic descriptions of Paradise. Indeed, this sentence seems to refer to a cosmological concept fairly prevalent during Late Antiquity, according to which the rivers of Paradise (or Eden) reach the inhabited part of the world by flowing under the sea. In this case, the expression min taḥtihā, “from beneath which,” would represent an allusion to both the place of origin and the subterranean course of the paradisiacal rivers. Moreover, the presence of the determinative article before the word ˈanhār suggests that the Qur’an is speaking of (all) the rivers. This would reflect the ancient Near Eastern (and Biblical) idea that the rivers of the Earth have a divine origin and a source located in a paradisiacal land. 3. My third and final research interest is mostly concerned with the relation between the Qur’an’s eschatology and the eschatological systems of various other religious communities of the Late Antique Near East—principally Jewish and Christian but also Mandaean and Manichaean. This comparative approach offers an entry-point for scholars to investigate the doctrines—eschatological or other—professed by the Qur’anic text. Being primarily an exhortative text, the Arabic scripture generally seeks neither to establish a systematic theology nor to provide its audience with elucidations on its theological statements. For instance, the Qur’an does not explain in detail whether the resurrection will be physical or what fate the dead will undergo while they wait for resurrection and judgment. At the same time, the Arabic scripture repeatedly makes allusions to doctrines dealing with these and other questions—doctrines that were widespread in the Late Antique Near East. The early Muslim community was therefore ostensibly familiar with these doctrines. Thus, a thorough comparative analysis of the eschatological creeds professed by contemporaries of the early Muslim community is crucial to a correct understanding of the Qur’an’s theological presentation of death and the afterlife. My major aim is to reestablish—starting from the clues and allusions found in the Qur’anic text—the system of ideas underlying the eschatological doctrines professed in the Qur’an.